Like Bob, the folks on #ContentChat are cool. 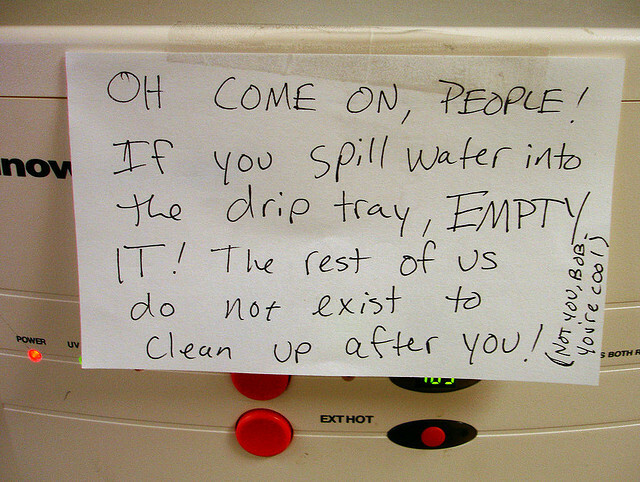 They would empty the drip tray. Picture a place where the brightest minds in content marketing gather on a weekly basis to share their insights and questions. It’s a place where newcomers are welcomed with open arms; where the latest news in marketing is discussed over coffee or lunch, and where trade secrets are given away for free. No question is too basic to ask and no comment is unappreciated. Maybe you envision a water cooler around which passionate marketers debate best practices. Or perhaps it’s a conference or networking event where everyone has gathered to share their love of marketing. If, in your mind’s eye, you see an enthusiastic content creator excitedly pounding on the keys of a laptop and alternately reading, nodding and smiling at a computer screen, you may be a past participant. This is #ContentChat—a weekly Twitter chat, which, over the past year and a half has drawn some of the biggest names in content marketing. Or have a peek at our List.ly list of illustrious content marketers who have been past participants and guests on #ContentChat, below. Tip: for some of the BEST advice you are likely to find on the subject of content marketing, follow these folks. They are as friendly and generous as they are brilliant. Better yet, meet them in person on the next #ContentChat, Monday at 3 pm ET. For archives of past chats and information about upcoming chats, click here.